The Department of Virginia held a Centennial Gala on March 23rd at the Richmond Marriott Downtown. 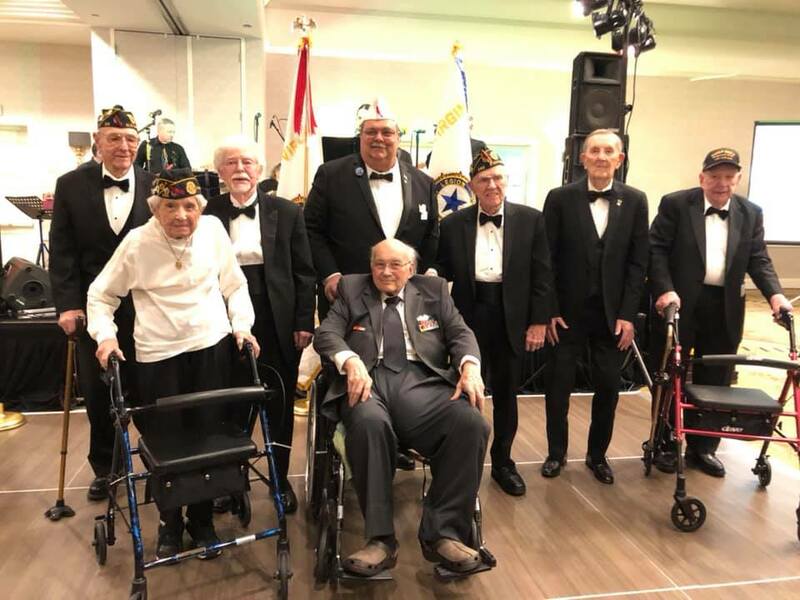 The event celebrated the 100th Birthday of The American Legion with a black-tie formal event and dance. This was a once in a life-time event and we wish there would have been space for more Department of Virginia Legionnaires to have attended. 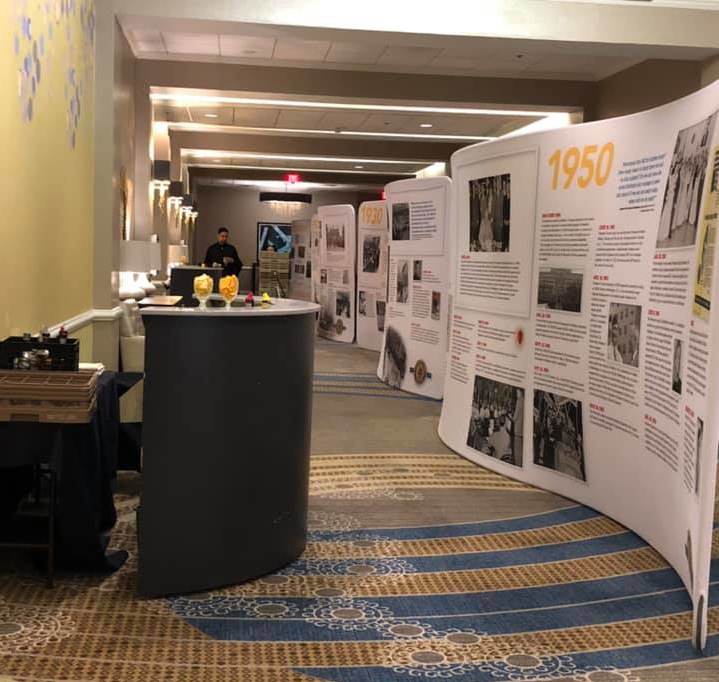 The setup included bringing in a display showing the many historical accomplishments of The American Legion through the last 100 years. This diorama stretched the halls and gave a visual timeline of the storied history of our organization. Naturally the display included efforts for the creation of what is now knows as the Department of Veterans Affairs, passage of the GI Bill, passage of the Servicemen’s Readjustment Act, and mentoring millions of young people through our programs. The many pictures brought back fond memories for a lot of Legionnaires in attendance. The history was bought to life as Commander Tom Queck led the honors for our World War II Veterans in attendance. These are the men and women of the greatest generation who have seen the many great things The American Legion has brought to the Veteran community. Our distinguished guests for the Gala were presented by Commander Queck (standing in center of photo). Our special guests were: (pictured left to right), Warden Foley (24), Elizabeth Piecek (284), Robert Brown, Sr. (146), Ludwig Hoge (284), William Collins (290), David May (75), and Russell Scott (244).